We are excited and committed to providing an unmatched service to the greater Los Angeles area that will hopefully benefit this great city, and eventually the world, for years to come. As we continue to establish our presence as a full-service, non-profit organization for the underprivileged youth of Los Angeles, we greatly appreciate any feedback and/or donations. The best way to contact us is via email at EATFoundationLA@gmail.com. We look forward to hearing from you and helping us create the best possible environment for the leaders of tomorrow! Since February is nationally designated as Black History Month, the E.A.T. Foundation decided to take a few kids to the California African American Museum. Visiting a museum was an initially yawning idea to the kids, but once they began interacting with the exhibits, they realized they were all pieces that connected to who they are. They were even inspired by a few pieces of Adler’s Guerrier’s Conditions and Forms for Blck Longevity that incorporated landscape photographs of Los Angeles, tissue paper, and paint, to go back home and recreate pieces of their own. How Sweet the Sound was a heartfelt experience for LaRhonda, who became nostalgic to her upbringing to gospel music and the connection it created with her now absent mother. She even gave us some additional insight on her two favorite gospel singers –Mahalia Jackson and Aretha Franklin. Circles and Circuits was a very colorful ending to our trip, and got the kids excited to see pieces with some fun and movement. They became ecstatic to see a popular piece known as Madonna and Child reinvented to be reflective of African roots, and therefore see themselves in modern art. With this trip, we wanted to encourage our mentees to explore their own backyard for gems of self-development. We also wanted to celebrate the cultural background and history of the African diaspora, and encourage them to use this history as a driving tool in the creation of their own, and it seems like we were successful in planting those seeds. BOSS (Business of Success Beyond Sports), is a foundation that emphasizes the student in student-athlete by providing tools and support to their members’ academic endeavors as well as sports-related pursuits. On Fri, January 26, 2018 leaders of the E.A.T. Foundation attended the First Annual BOSS Awards. The award ceremony focused on celebrating the dedication and work ethic of outstanding student-athletes and honoring professionals in the sports industry who have created an impact echoed outside of the industry. Throughout the ceremony, our leaders were able to absorb motivation from the key speakers and the documented structural elements and longevity of BOSS. The atmosphere also allowed us to conceive more ideas for the growth and development of E.A.T. As a token of support to BOSS’s mission, E.A.T. Co-founders Davionne Amie and Lorenzo McCloud donated a signed Houston Rockets jersey by James Harden to BOSS’s silent auction. As a non-profit ourselves, we understand the importance of fund allocation, and hope our contribution was ample for the maintenance of such an impactful organization. We hope to see BOSS continuously growing and affecting more student-athletes in the near future. America’s Favorite Past-time continues it’s growth! Dozens of Kids smiled wide and focused intently as they received instruction from passionate professionals who showed up to encourage and motivate. 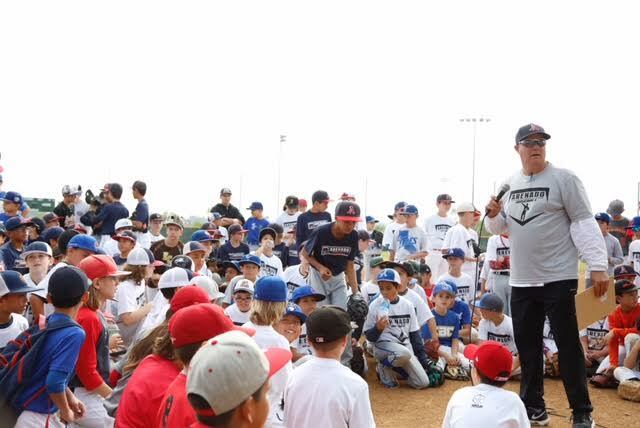 The camp assisted the young players in developing their pitching, batting and catching skills, receiving time learned tips from one of today’s top Major League Players. 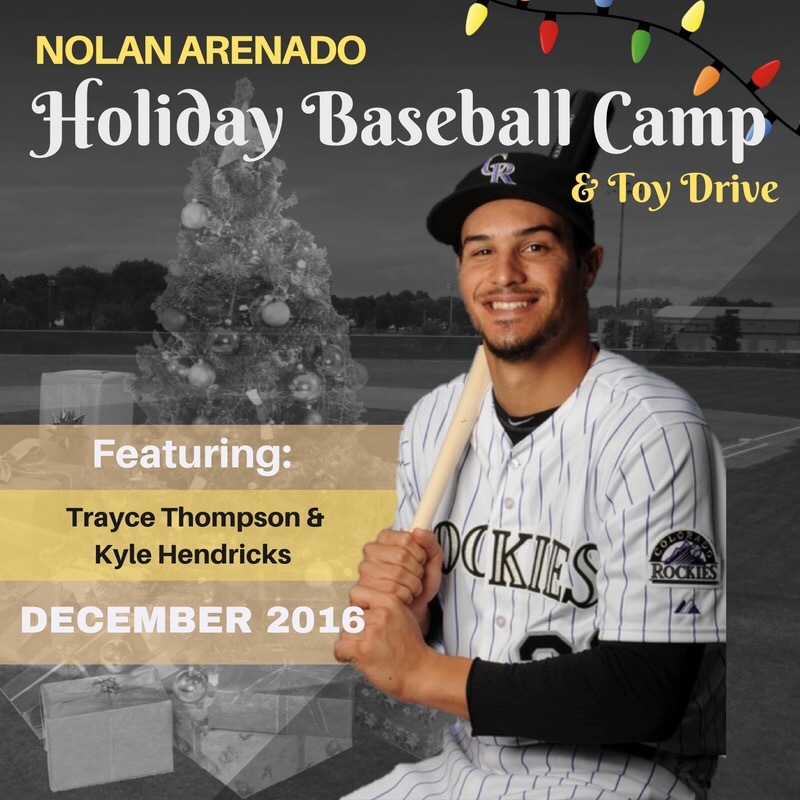 Nolan Arenado Baseball Camp & Toy Drive! Save the date, December 10th in Orange County! 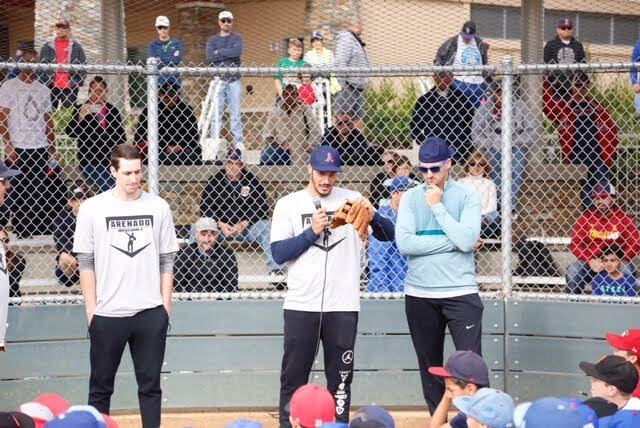 Nolan Arenado & Gameplan Sports Management bring to the community of Lake Forest an annual baseball camp & toy drive. 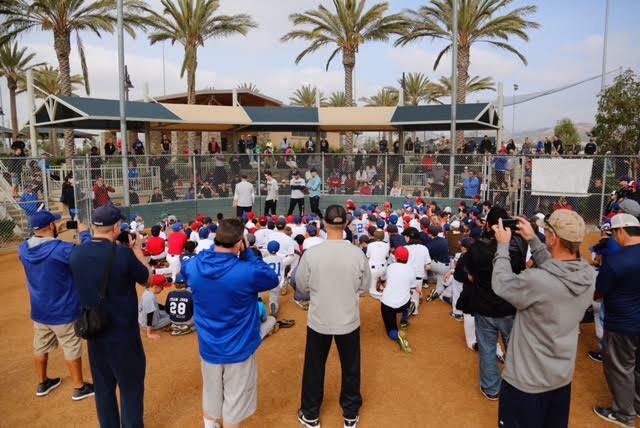 The camp is from 9am-1pm and from ages 7-13. 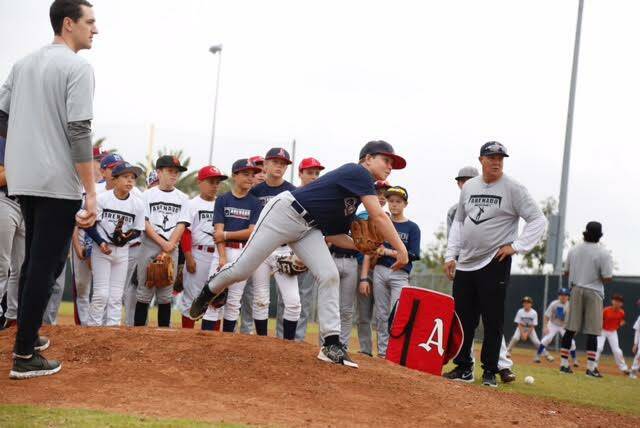 Don’t miss this opportunity to gain instruction from one of the brightest young stars in Major League Baseball. A few leaders of the E.A.T. Foundation stopped through a practice, talked to the players about real life and donated to them brand new Adidas uniforms and sweatsuits. Locke High School is the practice home for the Los Angeles City Wildcats, a travel basketball program that Lorenzo McCloud & also James Harden once played for. Yesterday, the E.A.T Foundation presented them with new Adidas uniforms and sweatsuits and Stance socks. 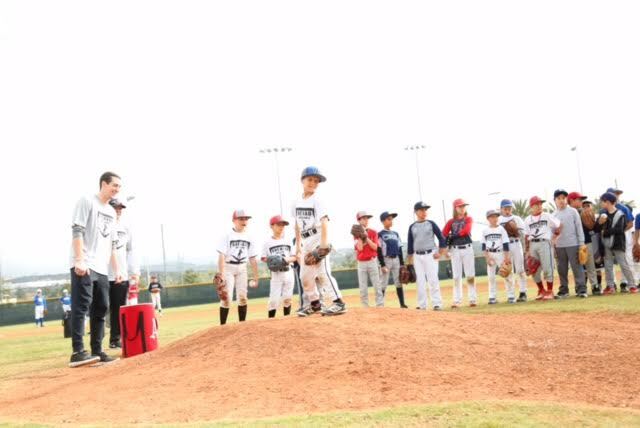 The LA City Wildcats is a program ran by “Coach Coop” has been dedicated to supporting our youth for over a decade by offering an outlet within our community. More took place at Locke High School this night as we talked to a few of the players and offered advice and words of encouragement as mentors.